Startups are fast-paced companies that need to grow quickly. To do this, they need money from accredited investors in order to fund their ambitions. These investors could take the shape of angel investors or venture capitalists who are willing to bestow young founders and companies with millions of dollars in exchange for equity in their companies and, eventually, a good return on investment. But startups are private companies, so there are strict rules regarding who can invest in them. Joe from down the street can’t invest in today’s unicorn startup, because he’s not an accredited investor. What’s that? In 1933, The United States Securities and Exchange Commission, abbreviated SEC, established in a Securities Act that companies can only issue private shares to individuals with a net worth of at least $1 million and / or an annual income of at least $200,000 for two of the most recent consecutive years. * Individuals who meet said criteria are known as accredited investors. Being classified as an accredited investor is relatively exclusive, however, provided that millionaires constituted 9% of all American households in 2016. ** This makes it exceptionally hard for founders to find groups and individuals who are legally eligible to fund their company. The supply of accredited investors is not only low compared to the amount of people in the U.S., let alone the world, but also geographically concentrated. These investors are often clustered in certain areas around the world that are inaccessible to various companies that need funding. For example, those who are interested in technology are likely knowledgeable of Silicon Valley, the proclaimed capitol of modern technological innovation. The fact that the San Fransisco Bay Area is home to many investors is one of the reasons that so many startups flock to the area, but it’s also a reason that startups in the area have lower probabilities of being funded due to nearby competition. In addition, startups that lack sufficient capital to migrate to the area are also unable to secure enough funding for their products and ideas, which leaves many founders at a loss if they can’t be in the right place. As you can see, it‘s hard for startups to raise needed capital and minimize geographical competitiveness while abiding by the law. Now, however, there’s a different approach to this important factor of startup growth. With the increasing presence of blockchain technologies like Ethereum, young companies are now able to raise money in the form of Initial Coin Offerings. An unregulated means by which funds are raised for a new cryptocurrency venture… In an ICO campaign, a percentage of the cryptocurrency is sold to early backers of the project in exchange for legal tender or other cryptocurrencies, but usually for Bitcoin [or Ethereum]. During ICOs, companies and organizations are able to raise millions of dollars in unprecedented short amounts of time while giving out digital tokens to those who provide money. Startups choose to raise money using this novel method, because it allows them to accumulate large amounts of capital without the hinderance of any government regulation or shareholder aggression. A startup that raises money using an ICO is able to glean the same amount of capital while maintaining control of how its shares are managed. Conventional capital raising methods require businesses to accept money in exchange for shares of the company, which proves to be detrimental at times. After various rounds of funding, founders and early employees may find themselves powerless at the hands of investors who, over time, have accumulated enough shares of the company to make decisions regarding the future of the organization. These decisions may sometimes misalign with those of the original members and cause turmoil within the organization, resulting in resignations or aggressive share dilutions. ICOs work to resolve this problem by allowing young companies to raise capital without giving away shares to others. This lets the original members of the organization continue making decisions that support the originally conceived idea of the company without the friction that could be applied by outside shareholders. 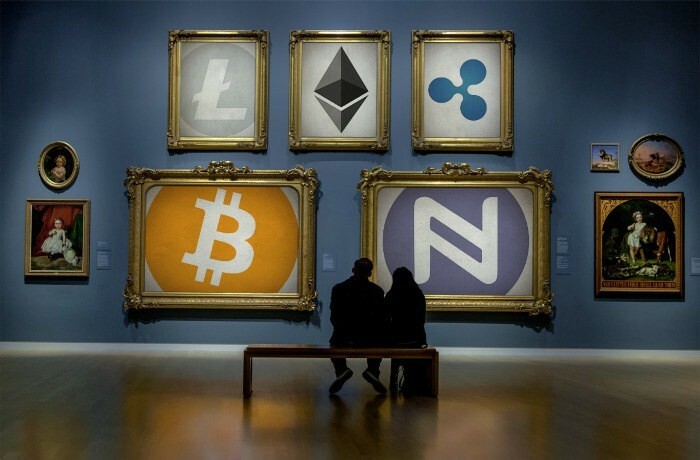 In the same way that the early Internet provided individuals and organizations with newfound freedoms because of its decentralization and lack of government regulation, the blockchain technologies on which Initial Coin Offerings are built allow companies to raise money without regulation from the government. This means that companies can collect an arbitrary amount of money from anyone on the Internet, which opens the door of investment to anyone with a cryptocurrency wallet and an Internet connection. Also, the psuedo-anonymity that technologies like Ethereum provide make it very difficult for state actors to track funders, and the decentralized nature of blockchain prevents these actors from controlling or inhibiting activity. With companies free from government regulation and investors able to contribute funds without needing to meet exclusive requirements, ICOs are bringing more freedom to the market by serving as a method of circumventing government regulation and giving common people the opportunity to invest in private companies. Startups no longer have to migrate to a technology hub in order to secure funding. Through ICOs, companies can now accumulate money from anybody regardless of their location: the internet globalizes funding. With that being said, one may claim that crowdfunding platforms like Kickstarter and Indiegogo have already brought this concept into fruition, but the current approaches have rather important flaws. Centralized crowdfunding sites are subject to the jurisdiction of the countries in which they reside, so they are at the fault of government regulation. And, crowdfunding websites also possess identifying information about funders, so users must blindly trust that the site will respond well in the case of a security breach. ICOs have the same features of crowdfunding as these websites, but they provide necessary solutions to the previously stated flaws. As said before, ICOs are not subject to the regulation of any government***. And, blockchain technology permits the sending and receiving of money without releasing identifying information (often no more than a wallet address). This means that someone in Bangladesh can invest in a startup in Atlanta without intervention from the Bengali and American governments while maintaining his or her anonymity via the blockchain. Through these offerings, companies no longer have to limit their targeted investors to angels and venture capitalists in a large city. Now, money can be raised on the Internet freely and securely from anyone around the world. Ultimately, startups favor Initial Coin Offerings over conventional means of raising capital for the freedom of operation and increased supply of potential investors. With companies able to make their own decisions about how to raise money and who can contribute funds, ICOs prove to be feasible methods of raising money. *More information about classifying as an accredited investor can be found here. ***The SEC has recently attempted to regulate token sales.